Um den deutschen Text zu lesen scrolle bitte nach unten! Irene Kepl - violin and electronics; Mark Holub - drums. 'Taschendrache' delves deep into all of the sonic possibilities that this unusual duo instrumentation can offer, moving from delicate pastoral sections to heavy grooving to more abstract improvisation and electronics. Before recording, this duo had already carefully honed their sound through concerts at clubs and festivals across Austria and began to develop a distinct musical language. On this recording they showcase this throughout; the drums are sometimes played like a pitched instrument, and the violin is at times noisy and rhythmic, both musicians are stepping out of their traditional roles to just let the music flow. Throughout the album, there are beautiful melodies and chords, but there are also microtonal sections, distorted sounds and feedback, one can also hear the intense interplay that has developed between the two players as if they always know where the other one is headed. With the release of their first album together, there promises to be even further development, with more continental European touring scheduled in 2015 and a UK tour in April 2015. “Irene was one of the first people I played with after relocating to Vienna from London in 2012. We met after I heard her with her string quartet and immediately hit it off musically, but it wasn't obviously clear what exactly we were going to do together. After a few plays as a duo, it dawned on us that this was a great sound to explore. Playing in duo is always an exciting prospect, a chance to have a proper musical dialogue with just one person, but also it allows you to fully have the space to explore your own sound-world because of the openness in sound that a duo can bring. Drummer and composer, originally from the US who now has one foot in London and one in Vienna, Mark Holub is most notably known as the bandleader and composer for Led Bib. With Led Bib, he was nominated for the Mercury Music Prize 2009 (One of 12 albums of the year) and was also the winner of the Peter Whittingham Jazz Award 2005. Led Bib have topped college radio charts across the US and Canada and have played live across TV and radio in Europe, and featured in press across the world including cover features in Jazzwise and Jazz UK. They have released 7 albums and have toured to some of the highest profile festivals in Europe including North Sea Jazz Festival, Jazzfestival Berlin, London Jazz Festival, Saalfelden Jazz Festival and many others, as well as supporting Ornette Coleman and Pharoah Sanders. Holub is also active in other projects which see him tour around the UK, Europe and the US, including Blueblut(with Pamelia Kurstin), Mustard Pie(with Seb Rochford and Jan Kopinski), various free-improv configurations, work as a composer and performer with various contemporary dance companies and a myriad of other projects. Recently, Holub has been leading a number of masterclasses and workshops. These have included work with the Royal Welsh College of Music, British Council Nepal, Aldeburgh Young Musicians and Kathmandu Jazz Conservatory. „... Now a Vienna resident, on Taschendrache Holub immerses himself in a dozen duets with Austrian-violinist/electronics-manipulator Irene Kepl, who adds contemporary notated music tropes to his Jazz-Improv orientation. ... The signal processed drone and bell-like pings from Kepl’s electronic interface increase the number of sonic parameters on its dozen tracks. The oscillations are especially prominent on “Arachnid” and “Holz hackende Flecken”. On the second the narrowed electronic squeals add to taut bow motions, leading to dynamic tension between the two. Meanwhile Holub’s slaps and pops grow equivalently louder. “Arachnid” on the other hand has synthesizer-like hums and twitters reflecting and pumping up the fiddler’s microtones almost replicating a string ensemble. The percussionist’s unremitting beat emphasis prevents the string-set from blasting off into the stratosphere, though. Instead Holub’s multi-fold dynamics create appropriately ruggedly complements to the violinist’s spiccato strategies, especially when it appears that her knife-like sweeps are in danger of shredding the instrument’s catgut. Squeezing her strings to produce expanded partials, his raps and paradiddles are transformed into melody enhancers. This is especially noticeable on the concluding “Speed Date”, where splattering triple stopping from the violinist and jerky pops and patterns from the drummer meld into rapprochement. IRENE KEPL / MARK HOLUB - Taschen Drache (Slam 298; UK) Featuring Irene Kepl on violin & electronics and Mark Holub on drums. The first musical-chaired combination found Holub with Kepl, the latter making deadened plucks and strums, with drum rolls quickly building to hard, higher volume stutters. Kepl scythed with her bow, then muted her strings to remove the edge, so much so that she was in danger of being drowned out by Holub’s booming. Bow dragged, fingers shaped invented chords, puffball sticks stroked skins, ending up with an almost Balkan resonance, as Kepl’s sour misery tone keened appealingly. Then, Holub stepped aside and Webster joined Kepl, his tenor used as a vessel for deep breathing, expelled air roaming around his tubing, rushing around between tongue-clicks and finger-pops. The two players made colliding intersections, sometimes of simultaneous silence, at others, both pouring full-tilt. Webster’s billy goat growlings and parasite flutterings reared up aggressively, then quietened down for some rumination. The sets, and the individual improvisations were reined in to a self-conscious brevity, the final full trio section beginning with a subtle, tentative questioning. Webster growled into his baritone and Holub spread rags across his drumheads, Kepl clawing skritchy scrabbles. beiden einige Clubs und Festivals um ihre ganz eigene musikalische Sprache auszuentwickeln. Dies ist auf der gesamten Aufnahme spürbar; das Schlagzeug wird immer wieder ebenso als totales Instrument gespielt, wie die Violine ihrerseits geräuschartige, rhythmische Passagen übernimmt und damit beide Musiker aus ihren traditionellen Metier heraustreten um den Fluss der Musik in den Mittelpunkt zu stellen. Das Album enthält wunderschöne Melodien und Klangfolgen ebenso wie mikrotonale Abschnitte, verzerrte Sounds und Feedback. In all dem hört man immer das intensive Zusammenspiel der beiden Ausnahmemusiker. Jeder scheint vom anderen zu wissen in welche Richtung der jeweils andere gerade gehen möchte. Die Veröffentlichung des ersten gemeinsamen Albums verspricht demnach weitere Entwicklung in dieser Formation, mit der Release-Tour in Großbritannien im April 2015 und einer geplanten Tour durch Europa in der zweiten Hälfte 2015. “Irene war eine der ersten Personen mit der ich 2012 zusammen spielte, nachdem ich von London nach Wien übersiedelte. Wir trafen uns nach einem Konzert ihres Streichquartetts und verabredeten uns sofort miteinander zu spielen, noch ohne einen genauen Plan wie das eigentlich genau sein würde und was wir tun würden. Nach ein paar Versuchen wurde uns klar, daß wir einen sehr spannenden Sound zu erkunden hatten. Im Duo zu spielen ist eine sehr spannende Sache, da es einen klaren musikalischen Dialog mit nur einer einzigen Person gibt, und gleichzeitig durch die Offenheit in einem Duo Raum läßt seine eigene Klangwelt zu erforschen und zu entwickeln. Der Schlagzeuger und Komponist, ursprünglich aus den USA, jetzt mit einem Fuß in London, mit dem anderen in Wien, hat in seiner Rolle als Bandleader und Komponist für “Led Bib” bisher am meisten Aufmerksamkeit erregt. Mit “Led Bib” gewann er den Peter Whittingham Jazz Award 2005 und war mit “Sensible Shoes” als eins von 12 Alben des Jahres nominiert für den Mercury Music Prize 2009. “Led Bib” erklomm Radio-Charts in den USA und Kanada, es folgten Live-Auftritte in Radio und TV in ganz Europa und erfuhr unter anderem in Titelstories für Jazzwise und Jazz UK weltweite Presseaufmerksamkeit. Mit ihren 7 Alben haben sie die bekanntesten Jazzfestivals Europas bespielt, unter anderem North Sea Jazz Festival, Jazzfestival Berlin, London Jazz Festival, Saalfelden Jazz Festival und viele andere und waren ebenfalls als Vorband für Ornate Coleman und Pharoah Sanders. Holub ist weiterhin in Projekten wie Blueblut (mit Pamelia Kurstin), Mustard Pie (mit Web Rockford und Jan Kopinski) und verschiedenen free-improv Gruppen auf Touren innerhalb Großbritanniens, Europas und den USA unterwegs und arbeitet als Komponist und Schlagzeuger mit verschiedenen zeitgenössischen Dance Companies und in einer Vielzahl von anderen Projekten. In letzter Zeit tritt er in Erscheinung als Lektor für diverse Masterclasses und Workshops, unter anderem am Royal Welsh College of Music, British Council Nepal, Aldeburgh Young Musicians und am Kathmandu Jazz Conservatory. 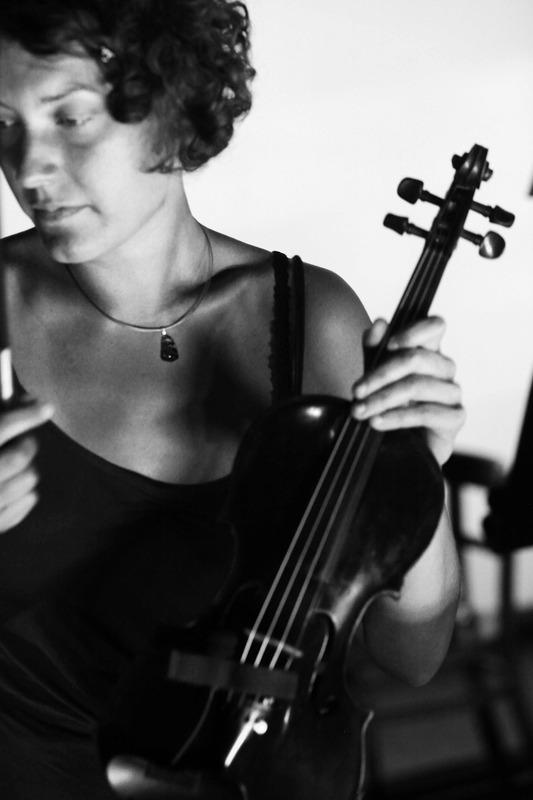 Die Violinistin und Komponistin Irene Kepl studierte klassische Violine und Jazz in Linz und lebt und arbeitet in Wien. Ihr Fokus liegt hauptsächlich auf zeitgenössischer Musik, freier Improvisation, Komposition sowie Groove- und Jazz-basierter Musik. Kepl spielte an vielen angesehenen Veranstaltungsorten und Festival, unter anderem Klangspuren Schwaz, Festival 4020, Festival Unlimited, 12 points Festival/SE, Donau Festival Ulm, DanceKiosk Hamburg und Jazz Festival Petrovac/ME. Ihre Musik wurde in verschiedenen Radiosendern in Österreich und im Ausland gespielt, unter anderem in Montenegro, Schweden und Italien. Sie erhielt den Theodor Körner Preis sowie den Gustav Mahler Preis für Komposition und erhielt beispielsweise Kompositionsaufträge für die Wiener Festwochen und das Brucknerhaus Linz. Freie Improvisation ist eine wichtige Komponente in der Erweiterung ihrer spontanen musikalischen Ausdrucksform. Sie hat in diesem Zusammenhang unter anderem mit Malcolm Goldstein, George Cremaschi/USA, Korhan Ehel/TR, Petr Vrba/CZ und Moe Staiano/USA gearbeitet. Außerdem ist die Mitbegründerin der monatlichen Konzertreihe “Musik im Raum” in Oberösterreich welche eine breite Auffächerung an Musik im Kontext zeitgenössischer Kunst bietet. Weiters erhielt sie Kompositionsaufträge für Theater, Film und Soundinstallationen. „Irene Kepl und Mark Holub ergeben zusammen eine ungewöhnliche Instrumentenkombination: Violine und Schlagzeug.